Hello there, welcome to the Meadow Pack. We are a friendly, semi-literate wolf roleplay site that's always accepting new members with open arms. If you're already registered with us, go ahead and login, if not, feel free to browse the forum. The river is the most common place for others to enter our home, as it cuts a line straight through the forest and across the Meadow. Whether is be friends or foes following it into the Meadow, there is normally a guardian or a scout posted there to watch the area. Location : Why do you need to know...? Evie padded along the riverbed, sighing. She had been walking for miles. "I should just rest here before my paws fall off." 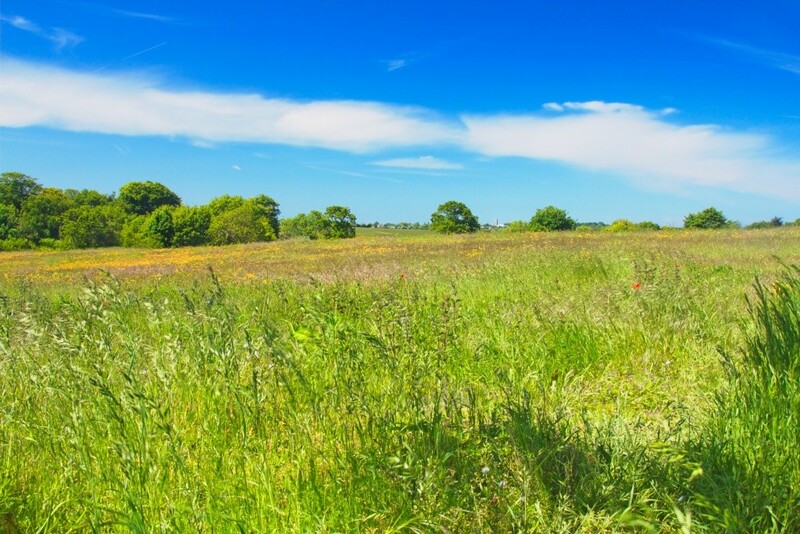 Before she lay in the grass, she saw a meadow in front of her. "I wonder what that meadow is like." She lay down in the grass, lost in thought. Kava approached the river, the sound of moving water filling her ears. There, a little ways ahead of her, lay yet another fae in the grass. This one didn't appear to be sleeping, and Kava moved closer and said with a cheerful smile, "Welcome, my friend." Flamepelt hung back from going closer to the wolf, unlike what Kava did. She just waited patiently, as she still hasn't gotten even a teensy bit over what her family had done to her, and she shivered just thinking of all of them, taking turns, to smack her straight on the face with all four of their paws. She looked up, seeing two wolves. She stood up and, head down, she murmured, "Hello..."
Flamepelt nodded at the wolf, hoping that this wolf will understand when she nodded, she was saying hello, but not saying it out loud. "What brings you here?" Kava asked the blonde fae, swishing her long tail side to side. "Are you just passing through, or are your plans a little more...permanent?" She chuckled, hoping for the latter answer, as she loved the idea of welcoming yet another new wolf into the family. "I was...just...following the river. Seeing where it took me. Rivers have not been kind to me." She chuckled softly, trying to keep from showing her sadness. Flamepelt wondered what the wolf meant by 'rivers have not been kind to her', but she dare not ask it aloud, she just stayed with her normal silence. Not one to pry, Kava didn't inquire further into the fae's past, though she couldn't deny that she was curious. Still, she left it there and said, "Well I would say this one has been kind to you, as it's brought you to the Meadow." She smiled, "Perhaps, if you aren't interested in following the river anymore, you can come join the family here." "I wish rivers had been kind to me a year ago. Anyways, family? Is there a pack here?" she asked, slightly hoping. Flamepelt nodded to the wolf, but wondered if the wolf had seen her nod. She kind of wanted to say it aloud, but didn't. She just nodded. Evie noticed the other wolf's nod. She sighed, looking at the river. "Indeed there is." Kava replied. "We are the Wolves of the Meadow." She turned to glance back at Flamepelt, so as to tell her this information as well. 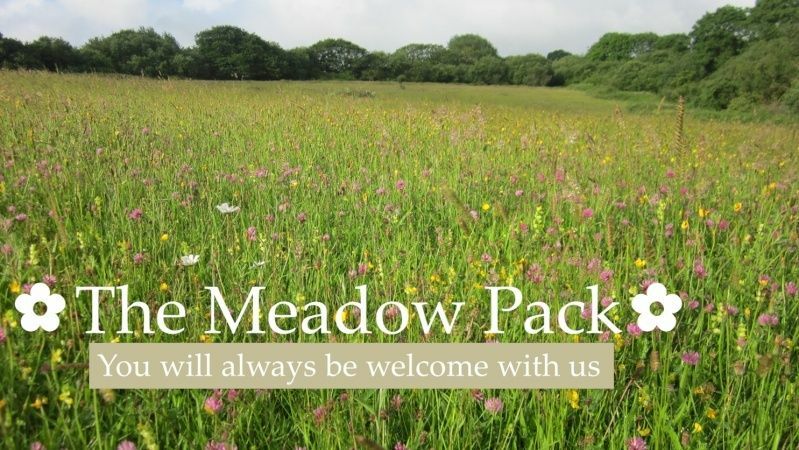 "We protect the Meadow from harm in exchange for a home and for food. Any who wish to join us are more than welcome. If the Meadow calls you to her, then perhaps this is where you are meant to be." The Gatherer smiled at the pair. She looked at the older wolf. "Well, I guess that's why I was following the river. It sort of felt like something was urging me here." She paused for a moment. "I'm Evie, by the way." She glanced at the flame-colored wolf, then looked away. Flamepelt flinched when she saw Evie glance at her, although she seemed to forget her family, and calmed down when Evie looked away. "It's nice to meet you Evie." She said, "I am Kava, the Gatherer. And I would like to extend an offer to you of joining my family here on the Meadow. Whatever skills you have, I'm sure we can make good use of them. We can use yours as well, my quiet friend." Kava aimed the last part at the silent fae behind her. Flamepelt thought about what Kava aimed at her, not Evie. "She's right. My speed and swiftness could be good...." She thought to herself. (lol, i need to go to bed right now, not later on. so, ill cya tomorrow in the morning then, hopefully Evie will be here too. Good night to me!